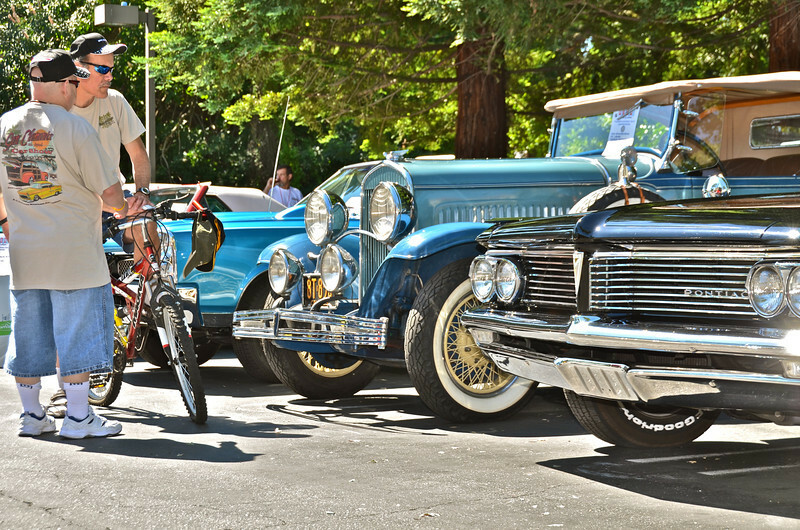 Lamorinda Sunrise Rotary's second annual "Motorama ~ World of Wheels," Father's Day, June 19. 2011. Vehicles exhibited in Postino/Clocktower parking lot, Mount Diablo Boulevard, Lafayette. Besides vintage automobiles and trucks, motorcycles and bicycles also were on display. All net proceeds fund a variety of local community service projects undertaken yearly by Lamorinda Sunrise Rotary, founded in 1987.